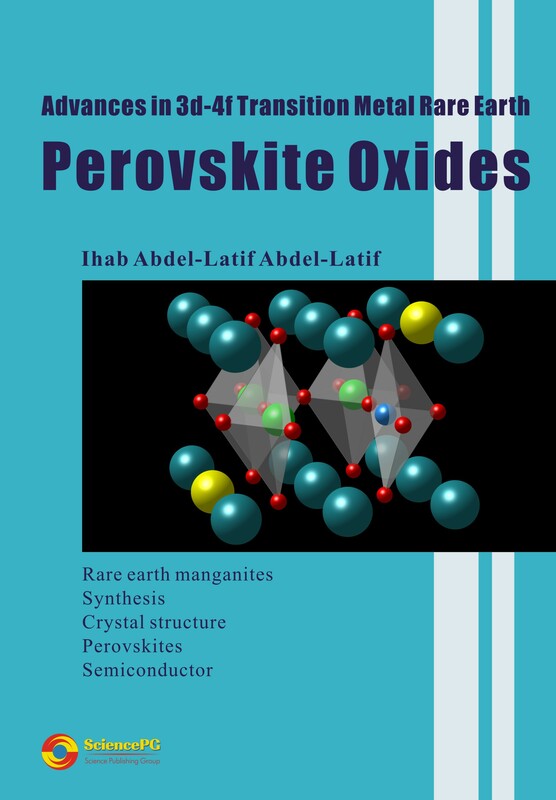 Dr Ihab Abdel-Latif Abdel-Latif , the author of this book, is an Associate Professor of Physics in Reactor Physics Department, Nuclear Research Center, Cairo, Egypt and Physics Department, Najran University, Najran, Saudi Arabia. He defended PhD dissertation at Kazan Federal University, Kazan Russia in 2003 and published 66 publications and books in the field of advanced materials and neutron physics. In the recent years, a lot of interests have been devoted to research on the 3d-4f oxides, within perovskites-like structure. The great attention increased due to the potential applications of such oxides in spintronics devices, clean magnetic refrigerators, magnetic sensors, hydrogen storage technology, magnetic recording media and ferroelectromagnets. This book highlights on the recent advances in such materials: synthesis, crystal structure, electrical, magnetic and thermal properties, besides the technological applications.